that saves lives, prevents injuries and property damage. Which photos do not meet the MUTCD standards? We provide M.U.T.C.D. Training, Collision Investigation and Expert Witness service for the Traffic Industry. United Transportation Training, Inc. (UTT Inc.), formerly a Traffic Control Training School, and a consulting firm on the Manual of Uniform Traffic Control Devices. 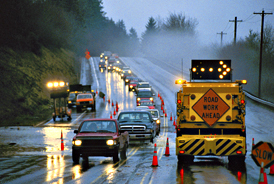 We continue to provide professional Training and Consulting to municipal, county and highway construction contractors. UTT Inc. was established in 2003 to provide training in the area of M.U.T.C.D. 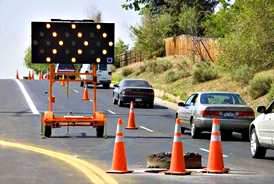 Work Zone Traffic Control, Motor Vehicle Collision Reconstruction and occupant safety. Now that the M.U.T.C.D. 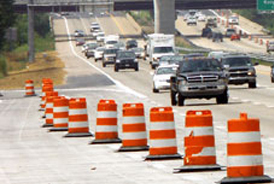 Flagger for work zones requires proper High Visibility Safety Apparel for all workers in the highway right of way. The correct M.U.T.C.D. Warning Signs, Devices and Pavement Markings must also be correct as per the newest M.U.T.C.D. Manual. Bicycle Facilities and Traffic in School Areas have also made new and better changes to save lives, and keep our children safer. The Incident Management section included in Part 6 of the Manual is always being updated. We will always provide Expert Witness Opinions and Testimony for our customers in Civil and Criminal Litigation cases. 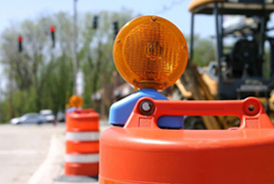 Traffic Control Plans, Pavement Markings, Pedestrian and Workers Safety are vital for all highway construction projects. Professional Opinions for the Legal and Insurance Industries will always be needed. M.U.T.C.D. 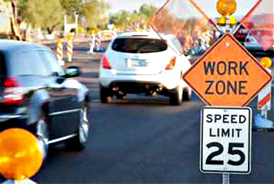 Compliance Inspections for Work Zone Design will demand daily attention to keep our highway work zones as safe as possible. The founders of UTT Inc. have extensive expertise in these fields. Please allow us to talk with you about your need today.